It looks like the Joker film starring Joaquin Phoenix as the Clown Prince of Crime is moving along quickly. Robert De Niro (Goodfellas) is in negotiations to be in the Warner Bros. standalone film from director Todd Phillips (The Hangover, Road Trip, Old School), according to The Hollywood Reporter. Phoenix isn’t new to the villain game, as he can be seen in Gladiator as a thorn in Russel’s Crowe’s side. The Joker film is said to be darker than the other films in the DC Extended Universe. In addition to directing, Phillips has co-written the script with Scott Silver (8 Mile, The Fighter). Not much is known of the plot, but reports have said that it’ll take place in the early 1980s of Gotham City. 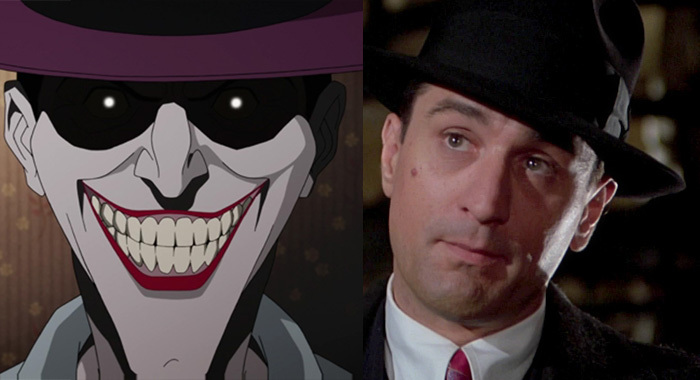 De Niro would be playing a talk show host who has a hand in the Joker’s origin if the deal is closed. The legendary actor has starred in classic films like Goodfellas, Casino, The Godfather: Part II, and Raging Bull. He can also be seen in lighter films like Meet the Parents and The Adventures of Rocky & Bullwinkle. What’s very surprising about this Joker film is that the budget is estimated to be around $55 million. That is lower than the typical big comic book blockbusters. With the movie focusing more on character development and less on big action sequences, that sounds pretty reasonable. Principal photography is set to begin in September in New York. With Phillips at the helm, let’s see if he’ll be able to pull off a killer film featuring the most iconic comic book villain of all time. This is the guy who directed Road Trip featuring Tom Gree and Old School starring Will Ferrell. The post You talkin’ to me? Robert De Niro in talks for Joaquin Phoenix’s Joker film appeared first on Nerd Reactor.